Cicada Invasion. The last few weeks it has been very loud as the male cicadas sing their song. I can hear them, but have not climbed high enough in the trees to get some images. 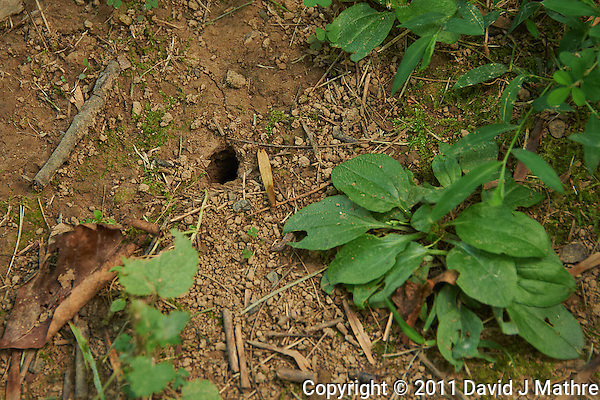 I did notice a large number of holes in the ground below one of my Maple trees. 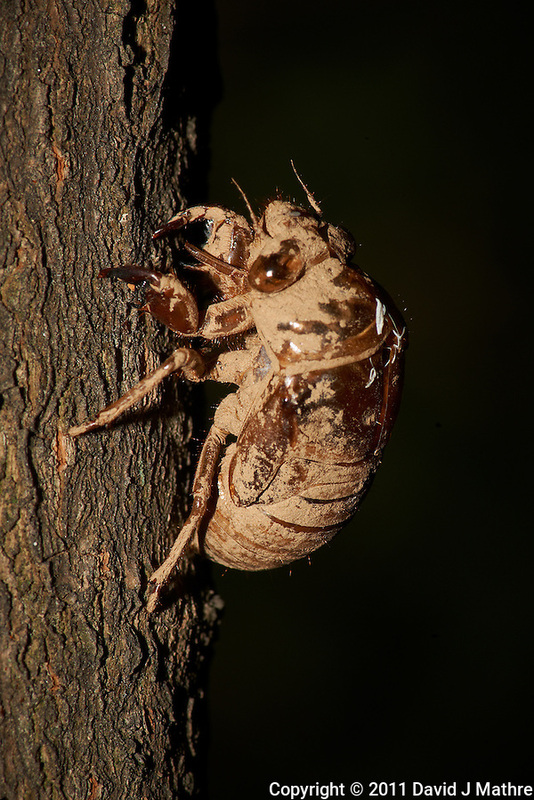 Following up the tree trunk, I did find a number of cicada exoskeletons from their final molt. Based on the dried mud on the exoskeleton, they must have climbed out of the ground just after the last rain storm. 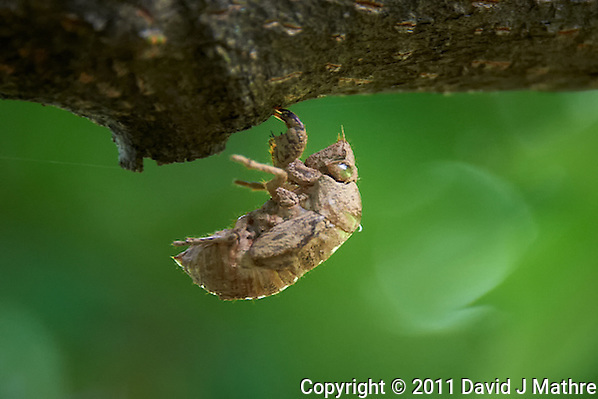 Cicada Exoskeleton Post Final Molt on a Maple Leaf. Image taken with a Nikon D3x camera and 105 mm f/2.8 VR macro + TC-E III teleconverter (ISO 100, 210 mm, f/45, 1/60 sec) and SB900 flash. Cicada Tunnel Exit. Image taken with a Nikon D700 and 28-300 mm VR lens (ISO 1250, 145 mm, f/5.6, 1/125 sec). 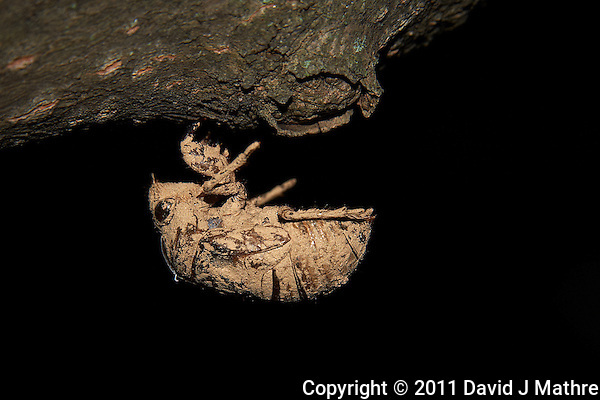 Cicada Exoskeleton Post Final Molt. Image taken with a Nikon D700 and 28-300 mm VR lens (ISO 200, 300 mm, f/511, 1/60 sec) and pop-up flash. 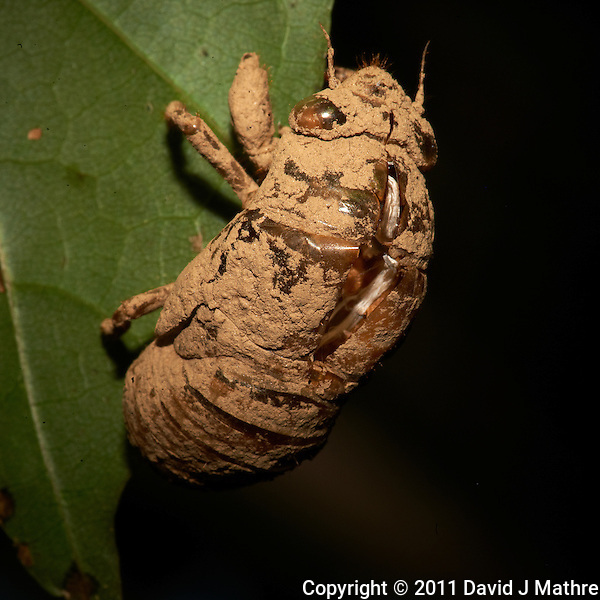 Cicada Exoskeleton Post Final Molt. Image taken with a Nikon D3x camera and 105 mm f/2.8 VR macro + TC-E III teleconverter (ISO 100, 210 mm, f/22, 1/60 sec) and SB900 flash.